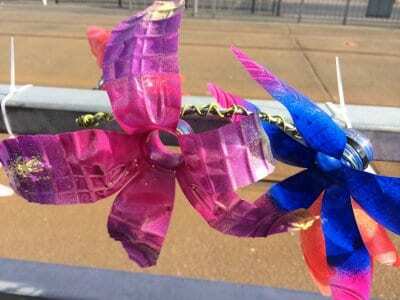 Two plastic garlands of flowers have appeared in Victoria Square, have you seen them?  Eagle-eyed Visit Cleveleys reader Glenys Weston started off Sunday morning with a very pretty and colourful riddle, and since then I’ve found the answer! 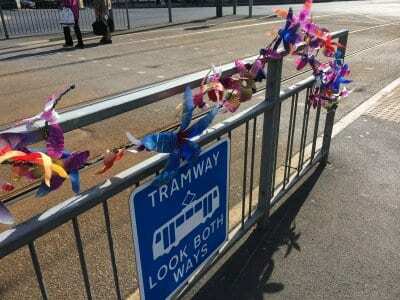 Glenys had snapped this very pretty colourful garland of flowers (left), fastened to the safety railings at the pelican crossing against the tram lines in central Cleveleys. 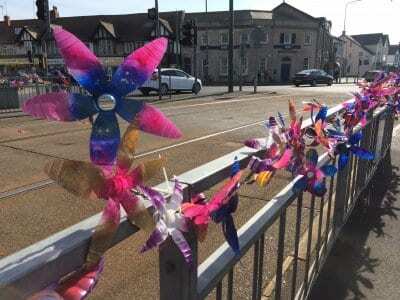 Posting her photo on Facebook didn’t help – no one seemed to know who put them there or why – but everyone agrees that they are very pretty, colourful and a lovely addition to welcome people to the centre of Cleveleys. 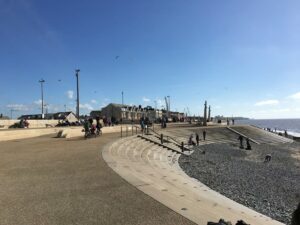 Ever the curious type, I toddled off to Cleveleys on a delightful, sunny Sunday afternoon in March to have a look for myself, and take you some more photos. 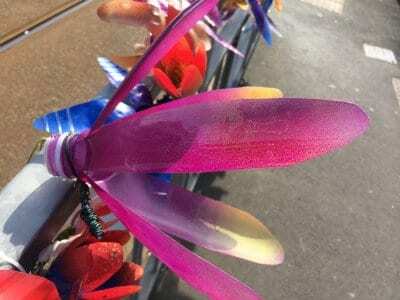 On Monday morning the answer was waiting for me in an email – someone with an anonymous email address had put them there for no other reason that they like making things, and because they wanted to make people smile on the first day of spring. 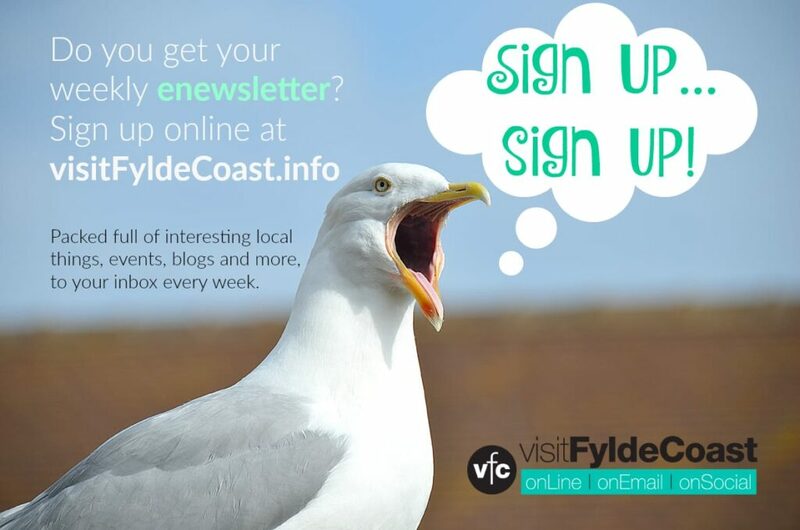 Now that is our kind of person, and very welcome here in Cleveleys! 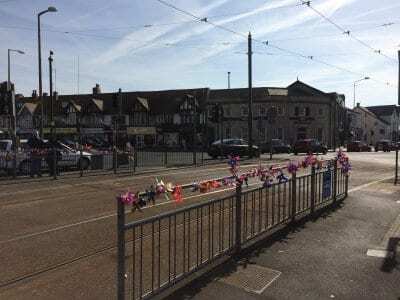 Hats off to whoever has made the flowers and put them there! They’re plastic bottles which have been cut into petals, the neck of the bottle being the eye of the flower. The petals are all neatly cut to the same shape and opened back into flowers. 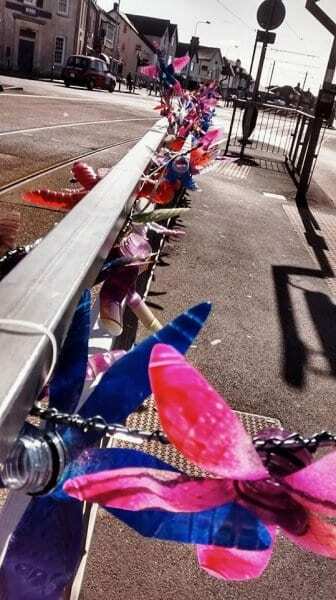 Then they’ve painstakingly been spray painted in coordinating shades of pinks and purples, before being wired together into a garland which is fastened onto the railing. Whoever has made these has done them carefully and with love, and they have taken some time to make too. Just in a few minutes you could see people on foot and in cars watching and looking and smiling. One couple stopped to chat and said how pretty they were. They’re certainly a welcome addition to the centre of Cleveleys, let’s hope they stop there for Cleveleys in Bloom.